What if someone told you to make something with all the utensils you own today? Would that seem reasonable? Simple, even? Then you are not a cook who has merged kitchens with another cook. Post-divorce, I spent a few months accumulating items lost in the 50/50 split. Rotary beaters. A ravioli press. The perfect pastry brush. 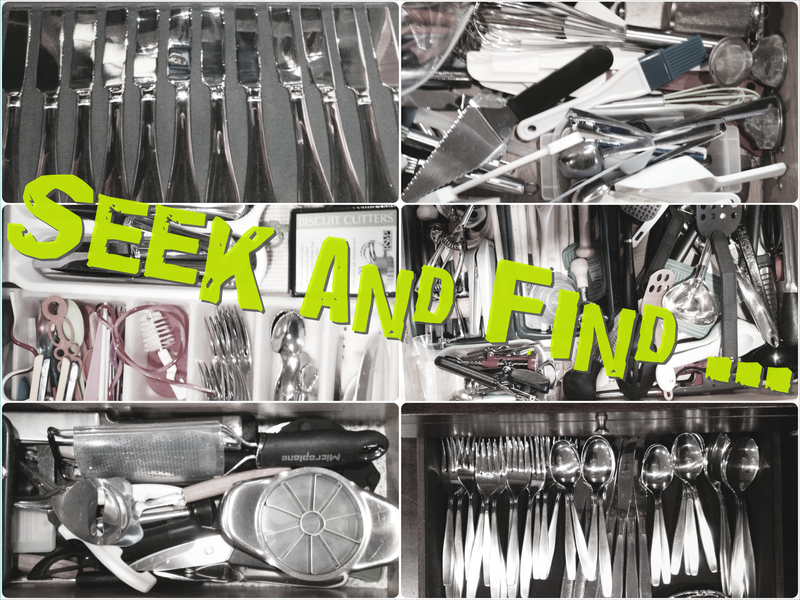 As I rebuilt my store of creative kitchen devices, I did not consider the possibility that another foodie might infiltrate my drawers with his utensils. And now our blended family of flatware and gadgets is so blessedly full, our cabinets clatter and jam in a tangle of rubber and stainless and wood. It’s a mess. Frustrating. Time-consuming. Overwhelming. … and together, we’ll make something delicious.